After nine years of owning and running One Off Places, we've seen our fair share of wonderful places to stay. We spend our days marvelling at the quality and variety of the 1000+ accommodation options we have on offer on the One Off Places website. A couple of weeks ago, we found another little gem which has very seamlessly made its way into the aforementioned top ten. 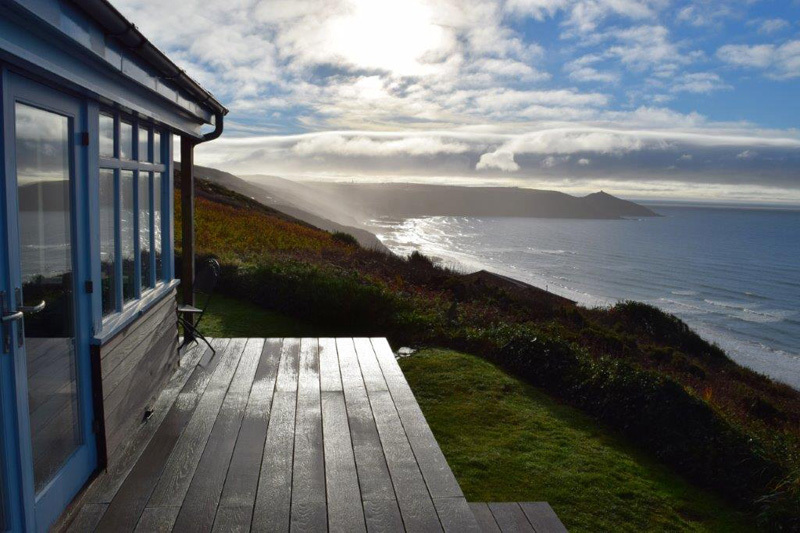 We had the pleasure of spending a weekend at Shamrock Cabin, a glorious one bedroom cabin perched high on the cliffs of Cornwall's south coast with exquisite panoramic views of Whitsand Bay. 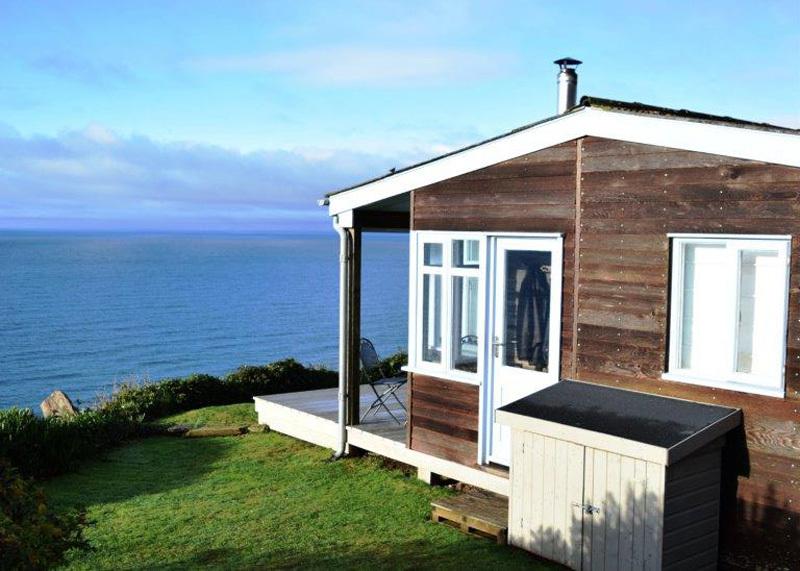 Although there are other cabins nestled into the same hillside, their positioning is such that you feel gloriously secluded - sea and cliff views as far as the eye can see make you feel that you have the whole coastline to yourself. Inside the cabin is stylish and cosy. 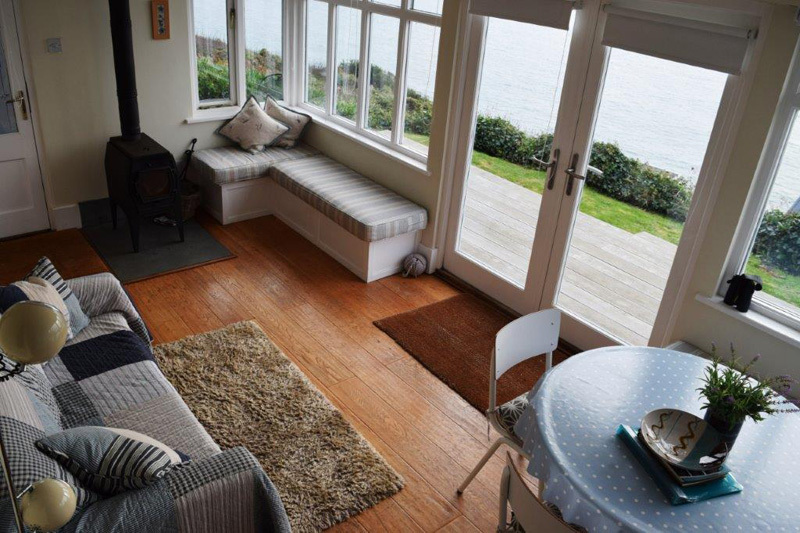 A superbly comfortable double bed (with sea views), and in the sitting room, a sofa bed for an additional two people, should you need the extra space. Doors from the sitting room lead onto the decking. In summer, enjoy the views from the deck. In winter, you can see just as much from inside, thanks to the wall to wall windows. The log burner keeps you cosy, the lack of wifi and TV makes you feel wonderfully detached from the real world. Although surrounded by miles upon miles of unspoilt beaches and countryside, Shamrock Cabin is also just steps away from a fantastic little cafe, open all year round, and serving breakfast, brunch, sandwiches, tea & cake….There a more formal restaurant just a five minute walk away, and if you’re prepared to jump in the car, or taking a longer walk along the coastline, there are any number of pubs and eateries on offer in the vicinity. 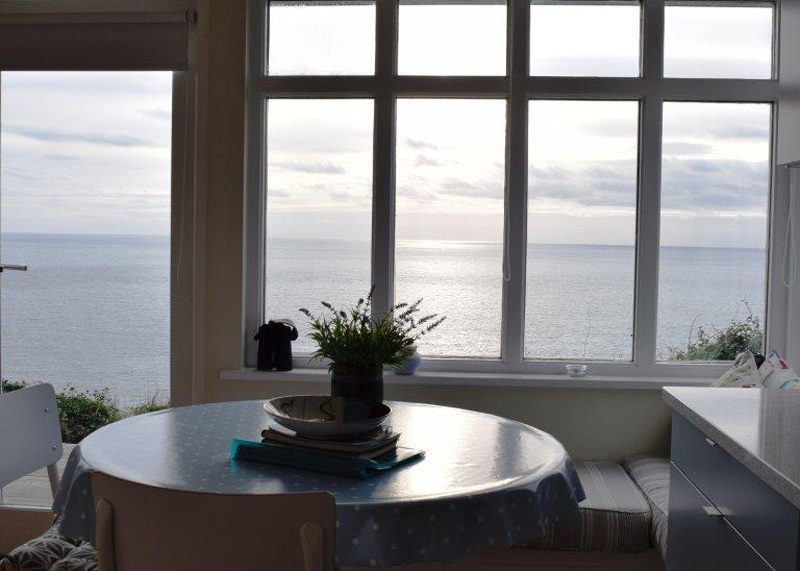 For a winter weekend, the temptation is to stay inside with the weekend newspapers and a bottle of Sauvignon Blanc, glancing up from the papers every few minutes to see if you can spot any marine wildlife. 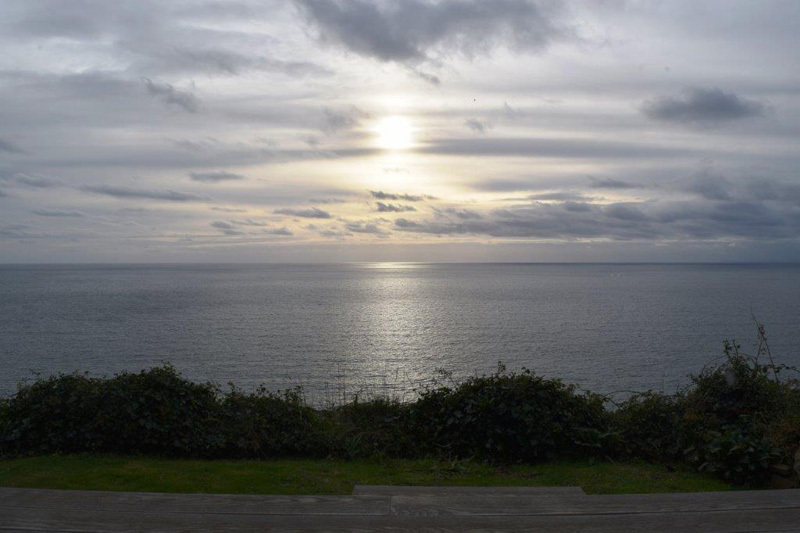 Several previous guests mentioned dolphin sightings in the guestbook and we were willing a pod of them to cross the bay. They didn't. A sign, surely, that we'll have to return for another visit. Shamrock Cabin costs from £275 for 2 nights in low season,up to £925 for a week in high summer.